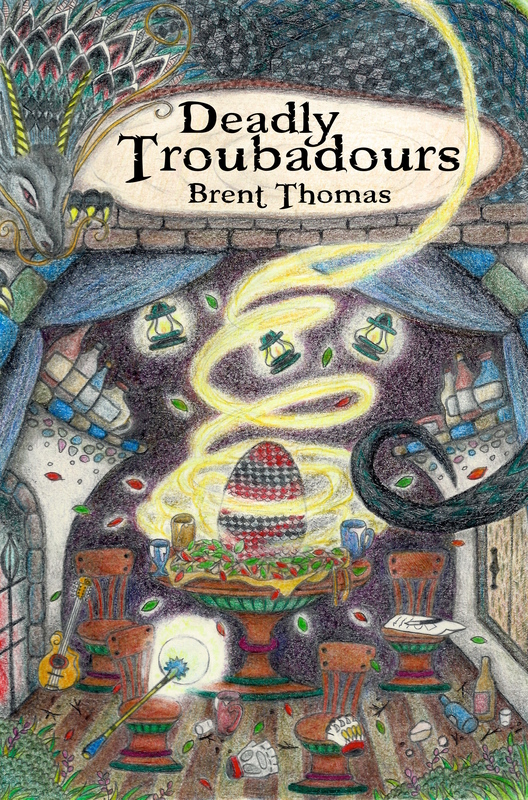 I know I’ve spent a decent amount of time talking about my novel, Deadly Troubadours. Even though I am hard at work on the sequel, it doesn’t mean that I have put down the original. I’ve recommenced recording and releasing a podcast of me reading the novel and that is available on iTunes. Almost a third of the book is out, so if you enjoy podcasts or audiobooks it might be of interest. And did I mention it’s free? Now, having an ebook and a podcast that serves as an audiobook out is fun, but I really want something that I can slip into a bookcase and marvel at. Well, that dream is on its way to becoming a reality. Why hasn’t this happened before now? My brilliantly talented cover artist and wife had a slight case a pregnancy followed by a severe case of had-a-baby. Needless to say that slowed down the artistic process. However, it looks like we are getting closer and closer to being able to release a hard copy. To make this worth while for anyone who might have already purchased an ebook we are adding interior art. By we, I mean my wife, who has recently launched her own website/art blog (currently only in Japanese.) 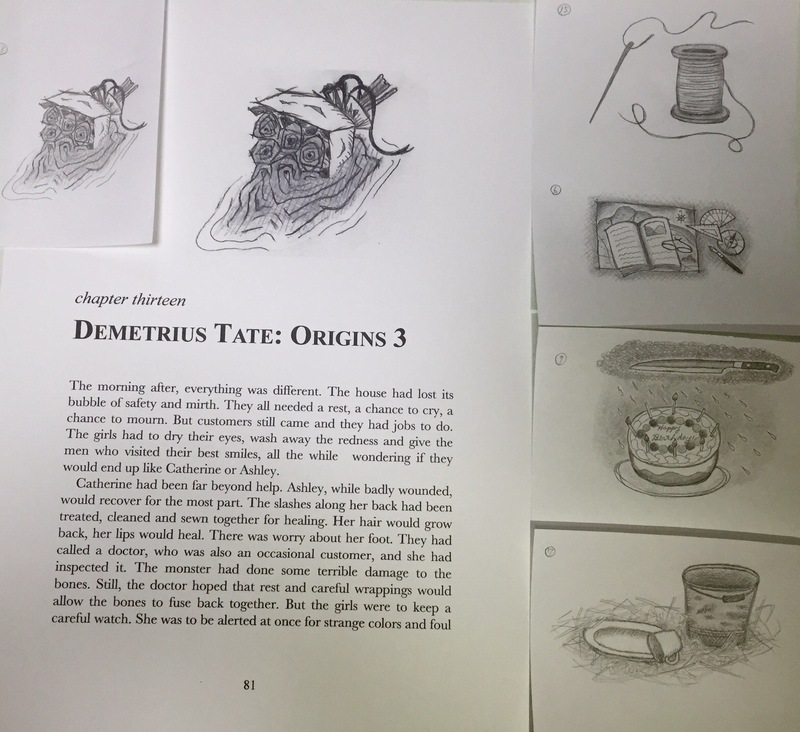 Each chapter will come with header art. It is looking like a safe claim to say this will be available before Christmas, but I can make no promises. Another more than likely claim I can make is that a paperback will be available through Amazon in areas where print-on-demand is an option.This is where matters become a little difficult. Unfortunately Japan, my base of operations, does not offer print-on-demand for Amazon. Basically, the only way for me to offer this novel to those nearest to me is to fund a limited print run myself. So, I guess that is what I will do. The Mrs. and I are currently investigating printing companies to see which place might be the best location to take our business present and future. There are lots of little bits that I have not yet decided how to best negotiate. Unfortunately, those are all the imprtant things. Marketing, pre-orders, the notion of using kickstarter. All those hard decisions. This post basically serves to say 1) a hard copy of Deadly Troubadours is on the way soonish 2) if anyone has experience they want to share marketing a book (especially in Japan) I would welcome any advice 3) and this is the most important one, Hot damn the interior art looks great.